Is there something wrong with spot mechanism? Recently the spotting mechanism surprises me. Lots of times i get spotted by very strange tanks, or situations that normally should not get me spotted. I am not a pro player but I can see differences in game. In my obj. 140 again with full camo crew i get spotted by a freaking Maus or the Obj. 257 close to it(which i doubt) on a such big distance that it was at the end of the view range. In light tanks i get spotted by odd vehicles that usually couldnt spot me. And countless ocasions since like two weeks ago, i know there may be times when just happens but not when it gets frequently. I dont consider myself a very good player but still i can see when good camo lights get spotted easely by other tanks when some time ago they wouldnt. And the game feels like spotting tanks dont serve us anymore, not only we have lots of small maps where really isnt necessary to have a light, but is quite funny that on large maps often we dont get any. And by the way is that a thing to die in 30seconds on wheeled tanks? I'm not gonna bother doing all the math, but it's not impossible for a T92 or Maus to outspot your WZ or 140, provided some equipment (like binoculars) and crew choices for both sides. Alternatively, if the T92 or Maus sits behind a bush, the camo bonus is up to 50% - as in a flat bonus. In other words: The Maus has close to 0% camo on its own, but with a bush it can still end up at 50% or so. More if there are multiple bushes or a tree (even knocked down) in the way. It's arguably sort-of stupid, but it's the game mechanics still. Turn on replays in the game settings and if you get one of those "weird" situations, upload the replay to wotreplays.com and share the link here. It's pretty much impossible to give you an answer without a replay. Without a replay. It's mostly just guessing work when we don't know the lay of the land. T92 could have had a camo net, binocs, and a double bush cover. You would have been in the open with no cover. Or you move up behind a large row of double bushes or a forest. Then you have to be close to spot anything. Or you had solid cover moving up, as a building etc blocking spot dots until you turned a corner. Spotting distance is basically a factor of your view range vs his camo and other bonuses he has. So even in the open vs some targets, you have to get 300m or closer, even with 445m view range. It's why wheeled lights are bad active scouts, as they have no base view range to do that calculation with. So then you still have to get under 200m to spot most well-camoed targets sitting in the open, vs a bad camo value super HT in the open you spot at 445m more or less. So add some soft cover into that or double bushes, and it drops way more. Edited by Balc0ra, 04 April 2019 - 02:59 AM. Replays stop all these strange things happening though. Provide the replays, and we may be able to shed some light on such situation. Even if there are glitches/bugs with the system (my suspicion would then be foliage actually), the only way for us players to recognize them would be through replays. 4 skill crew, binos, vents, maus got 486m viewrange, so no suprise there. No wonder people keep them off, then. 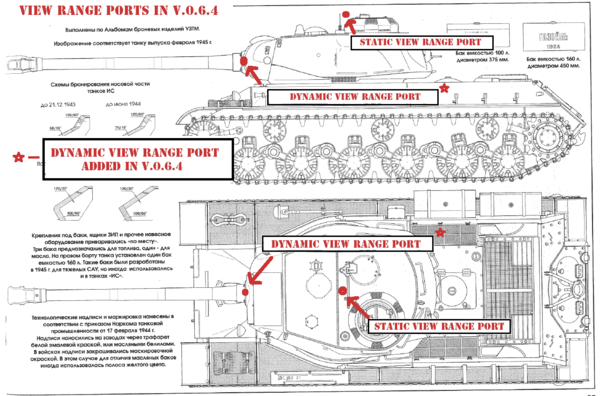 It's more pronounced in T10, but even the T8 VK100.01P has 400m viewrange. It's generally broken - not to mention that any tank can hide in a bush (or perhaps rather that a lot of bushes are big enough to conceal huge vehicles). Without knowing the actual situations those comparisons are pointless. Like if you fired, your camo value goes down close to 0. A Maus with a decent crew can easily have over 460m viewrange, so if you fired out of cover it has no problems spotting you. Without replays it's just pointless discussing it. Don't forget that with all the spamming of special crews in premium tanks and personal missions, more and more players (even the bad ones) are sporting good crews with better viewrange (skills) and equipment (coated optics/binocs). WG casually forgot to offset this factor in balancing by increasing the camo values of light tanks to match the decreases in effectiveness of camo over the years. 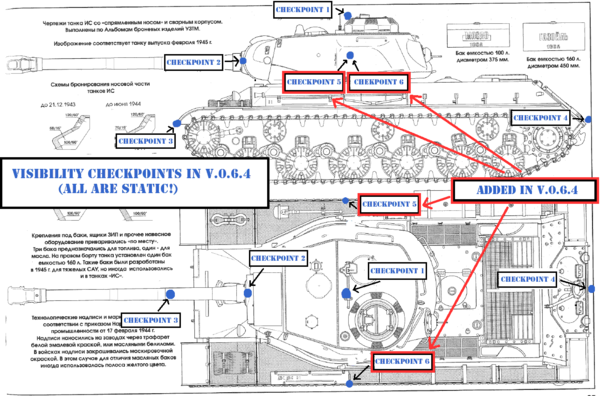 5 years back your light tank *effectively* had much better camo as most players had average crews and sometimes not even equipment meaning you could play more effectively in lights. Also, there has be a huge over-inflation of viewrange even on heavy tanks going up the tiers so this further decreased the effectiveness of classes relying on camo. Edited by Cobra6, 04 April 2019 - 10:34 AM. The point was that the T8, T9 and T10 of the same line has the same viewrange. The real issue is, arguably, that camo values are too low and/or powercrept to be a viable 'tool'. As for 'rightly so'; I'm happy to follow the 'logical' approach to viewrange once other, equally realistic, features has been added into the game. Inertia would be a great start for some of the superheavies, that inexplicably can rock backwards and forwards like it's nothing. That's why they are so useful. Indeed, just think how many bugs WG could "fix" simply by turning replays on by default..